Random House is an American book publisher and the largest general-interest paperback publisher in the world. As of 2013, it is part of Penguin Random House, which is jointly owned by German media conglomerate Bertelsmann and British global education and publishing company Pearson PLC. Bertelsmann is a German multinational corporation based in Gütersloh, North Rhine-Westphalia, Germany. It is one of the world's largest mass media companies and also active in the service sector and education. Bertelsmann was founded as a publishing house by Carl Bertelsmann in 1835. After World War II, Bertelsmann, under the leadership of Reinhard Mohn, went from being a medium-sized enterprise to a major conglomerate, offering not only books but also television, radio, music, magazines and business services. Bertelsmann is an unlisted and capital market-oriented company, which remains primarily controlled by the Mohn family. Since 2016, major divisions of Bertelsmann are RTL Group, Penguin Random House, Gruner + Jahr, BMG, Arvato, Bertelsmann Printing Group, Bertelsmann Education Group and Bertelsmann Investments. Bennett Alfred Cerf was an American publisher, one of the founders of American publishing firm Random House. Cerf was also known for his own compilations of jokes and puns, for regular personal appearances lecturing across the United States, and for his television appearances in the panel game show What's My Line? The Modern Library is an American publishing company. Founded in 1917 by Albert Boni and Horace Liveright as an imprint of their publishing company Boni & Liveright, it was purchased in 1925 by Bennett Cerf and Donald Klopfer. Random House began in 1927 as a subsidiary of the Modern Library but eventually overtook its parent to become the parent company of what then only became an imprint of Random House. Robert von Ranke Graves, known as Robert Graves, was a British poet, historical novelist, critic, and classicist. His father was Alfred Perceval Graves, a celebrated Irish poet and figure in the Gaelic revival; they were both Celticists and students of Irish mythology. Graves produced more than 140 works. Graves's poems—together with his translations and innovative analysis and interpretations of the Greek myths; his memoir of his early life, including his role in World War I, Good-Bye to All That; and his speculative study of poetic inspiration, The White Goddess—have never been out of print. Everyman's Library is a series of reprints of classic literature, primarily from the Western canon. It is currently published in hardback by Random House. It was originally an imprint of J. M. Dent, who continue to publish Everyman Paperbacks. Coinciding with the 2007–2008 financial crisis, the publishing industry was hit hard with weak retail sales. In May 2008, Random House CEO Peter Olson stepped down and Bertelsmann replaced Olson with Marcus Dohle. By October of that year, Doubleday, a division of Random House announced that they would lay off 16 people or about 10% of its workforce. In early December, what became known as Black Wednesday in publishing circles, many publishers including Random House took steps by restructuring their divisions and laying off employees. The reorganization consolidated and created three divisions--Random House Publishing Group, Knopf Doubleday Publishing Group and Crown Publishing Group. Susan Kamil, was named editorial director for Dial Press and editor-in-chief of Random House imprints reporting to Gina Centrello, the president and publisher of the Random House Publishing Group. 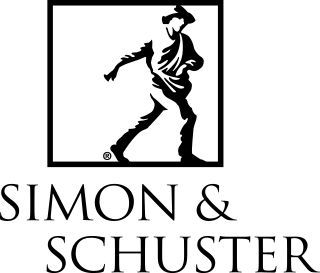 There were layoffs in the Doubleday imprint (now part of Knopf Publishing Group) and Dial Press, Bantam Dell, and Spiegel & Grau were moved from Doubleday over to the Random House imprints. Random House has been the distributor for Shambhala Publications since 1974. They also currently[ when? ] distribute National Geographic Books, Wizards of the Coast, Vertical Inc., The New York Review of Books , Titan Books, Other Press, Kodansha Manga, North Atlantic Books, Sasquatch Books, and DC Comics among others. The Random House Group also operates branches in Australia, New Zealand, South Africa (as a joint venture under the name Random House Struik), and India as part of its overseas structure. In Australia offices are in Sydney and Melbourne. In New Zealand it is based in Glenfield, Auckland, while Random House's Indian headquarters are located in New Delhi. Penguin Random House Grupo Editorial is Random House's Spanish-language division, targeting markets in Spain and South and Central America. It is headquartered in Barcelona with locations in Argentina, Chile, Colombia, Mexico, Uruguay, and the United States. From 2001 until November 2012, it was a joint venture with Italian publisher Mondadori (Random House Mondadori). Upon Bertelsmann's acquisition of Mondadori's stake in the JV, the name was kept temporarily four months. Some authors published by Penguin Random House Grupo Editorial include Dr. César Lozano, Yordi Rosado, Dr. Nancy Alvarez and Alberto Sardiñas. 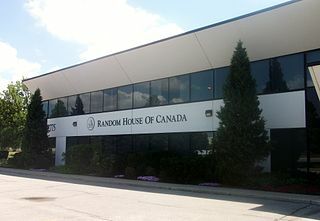 Random House of Canada  was established in 1944 as the Canadian distributor of Random House Books. In 1986 the company established its own indigenous Canadian publishing program that has become one of the most successful in Canadian history. Until January 2012, it used to hold a 25% stake in McClelland & Stewart, with the remaining 75% being controlled by the University of Toronto. It is now the sole owner of McClelland & Stewart. Doubleday is an American publishing company founded as Doubleday & McClure Company in 1897 that by 1947 was the largest in the United States. It published the work of mostly U.S. authors under a number of imprints and distributed them through its own stores. In 2009 Doubleday merged with Knopf Publishing Group to form the Knopf Doubleday Publishing Group, which is now part of Penguin Random House. Hutchinson began as Hutchinson & Co. (Publishers) Ltd., an English book publisher, founded in London in 1887 by Sir George Hutchinson and later run by his son, Walter Hutchinson (1887–1950). Hutchinson's published books and magazines such as The Lady's Realm, Adventure-story Magazine, Hutchinson's Magazine and Woman. Ten Speed Press is a publishing house founded in Berkeley, California in 1971 by Philip Wood. Wood worked with Barnes & Noble in 1962, Penguin Books in 1965, and left a senior sales positions at Penguin Books in Baltimore and New York before founding Ten Speed Press. Wood died in 2010. Sentinel was established in 2003 as a dedicated conservative imprint within Penguin Group (USA). It publishes a wide variety of right-of-center books on subjects like politics, history, public policy, culture, religion and international relations. Its most notable books include Donald Rumsfeld’s memoir, Known and Unknown, Mike Huckabee’s Do the Right Thing, A Simple Christmas, and A Simple Government, and A Patriot’s History of the United States by Larry Schweikart. Transworld Publishers Inc. is a British publishing house in Ealing, London that is a division of Penguin Random House, one of the world's largest mass media groups. It was established in 1950 as the British division of American company Bantam Books. It publishes fiction and non fiction titles by various best-selling authors including Val Wood under several different imprints. 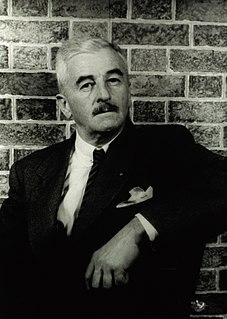 Hardbacks are either published under the Doubleday or the Bantam Press imprint, whereas paperbacks are published under the Black Swan, Bantam or Corgi imprint. Threshold Editions is an imprint of Simon & Schuster — the publishing division of CBS Corporation — specializing in conservative non-fiction. Louise Burke is the publisher, and Mitchell Ivers is the VP & editorial director. Mary Matalin was its founding editor-in-chief. 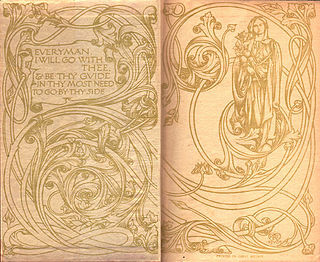 Watson-Guptill is an American publisher of instructional books in the arts. The company was founded in 1937 by Ernest Watson, Ralph Reinhold, and Arthur L. Guptill. They also published the magazine American Artist. Their headquarters are at 1745 Broadway, New York City, Random House Tower. Phyllis E. Grann was the first woman CEO of a major publishing firm, Penguin Putnam, and one of the most commercially successful publishers in recent history. She was a long-time editor for Knopf Doubleday, and a former CEO of the Putnam Berkley Group and was also CEO of Penguin Putnam. Grann was responsible for publishing many notable and bestselling authors at Penguin including A. Scott Berg, Judy Blume, Tom Clancy, Patricia Cornwell, Sue Grafton, Daniel Silva, and Kurt Vonnegut. At Doubleday Grann acquired and edited Jeffrey Toobin, Tina Brown, Bob Herbert, Ayelet Waldman and Tim Weiner. At Knopf she edited John Darnton. ↑ "Random House - Bertelsmann AG" (in German). Archived from the original on 3 June 2013. Retrieved 13 August 2012. ↑ "Größter Buchverlag der Welt bekommt neuen Chef" [Largest book publisher in the world gets new boss]. Frankfurter Allgemeine Zeitung . Reuters. 20 May 2008. Archived from the original on 22 August 2013. Retrieved 21 August 2013. ↑ "Randomhouse.biz - About Us". Business Solutions. Random House. 31 December 2011. Archived from the original on 1 May 2013. Retrieved 12 August 2013. ↑ Birmingham, Kevin (2014). The most dangerous book: the battle for James Joyce's Ulysses. London: Head of Zeus. ISBN 9781784080723. ↑ Bernstein, Robert L. (2016). "Chapter 3". Speaking Freely: My Life in Publishing and Human Rights. New York: The New Press. 1 2 Korda, Michael (1999). Another Life : a memoir of other people (1st ed.). New York: Random House. ISBN 0-679-45659-7. ↑ Mitgang, Herbert (1988-08-16). "Random House Buys Crown". The New York Times. ISSN 0362-4331 . Retrieved 2018-11-27. ↑ McDowell, Edwin (September 29, 1988). "McGraw-Hill Is Buying 2 Random House Units". The New York Times . ↑ Random House Company History, from Fundinguniverse.com Archived 4 March 2012 at the Wayback Machine . Accessed April 13, 2008. ↑ "Random House Acquires Listening Library". PublishersWeekly.com. Retrieved 2019-04-02. 1 2 3 Maneker, Marion (January 1, 2002). "Now for the Grann Finale". New York Magazine. Retrieved 2018-05-23. ↑ Rich, Motoko (2008-05-21). "Publishing Outsider Picked to Head Random House". The New York Times. ISSN 0362-4331 . Retrieved 2018-05-26. ↑ Rich, Motoko (2008-10-28). "Doubleday Publishing Lays Off 10% of Its Employees". The New York Times. ISSN 0362-4331 . Retrieved 2018-05-27. 1 2 Rich, Motoko (2008-12-17). "New Editor at Random House, Layoffs at Doubleday and Broadway". ArtsBeat. Retrieved 2018-05-17. ↑ "Random Puts Its House in Order". PublishersWeekly.com. Retrieved 2016-04-03. ↑ Rich, Motoko. "Major Reorganization at Random House". ArtsBeat. Retrieved 2016-04-03. ↑ The Big Six publishers, which have since been reduced to the "Big Five" by the merger on 1 July 2013 of Penguin and Random House, were Georg von Holtzbrinck Publishing Group/Macmillan, Hachette, HarperCollins, Penguin Books, Random House; and Simon & Schuster. 1 2 3 Bosman, Julie (2013-07-01). "Penguin and Random House Merge, Saying Change Will Come Slowly". The New York Times. ISSN 0362-4331 . Retrieved 2016-04-04. 1 2 3 "Penguin Random House Merges Two of its Successful Publishing Lines" . Retrieved 2018-11-16. ↑ "The Random House and Crown Publishing Groups Merge". PublishersWeekly.com. Retrieved 2018-11-16. ↑ "Contacts". Random House Books Australia. Random House. Archived from the original on 2013-09-29. Retrieved 2014-03-03. ↑ "Random House Mondadori is renamed Penguin Random House Grupo Editorial". penguinrandomhouse.com. 4 November 2013. Archived from the original on 17 November 2013. Retrieved 6 November 2013.